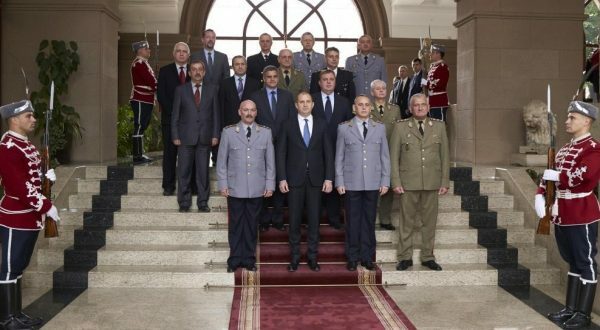 Bulgaria’s President Roumen Radev has called for a long-term policy to put an end to the dangerous downward trend in the number of armed forces personnel and to decisively raise the social status and prestige of the military profession. Radev, who does not head the government but as head of state is also commander-in-chief of the armed forces, was speaking on May 5 at a ceremony to confer promotions on senior military officers. A former air force commander before being elected President in November 2016, Radev noted that May 5 was the eve of Armed Forces Day: “We must pay serious attention to the pressing questions about the state of defence and the prospects for the development of our armed forces”. He was speaking the day after a new coalition government headed by Boiko Borissov took office, with a co-leader of the nationalist United Patriots, Krassimir Karakachanov, as defence minister. The governance programme agreed between Borissov’s GERB party and the United Patriots says that Bulgaria is an “active and reliable member of Nato and the EU” and will actively participate in the preparation and implementation of the new EU policy on European defence. The document says that Bulgaria will increase defence spending until this reaches a level of two per cent of GDP by the time the government’s four-year term ends. Among other steps, including bringing the reserve forces up to strength and improving the mobilisation capacity of the country, the document says that there will be “active co-operation with military and patriotic unions and other NGOs for patriotic education of youth and the preservation of the traditions of the Bulgarian Army”. Military training will be introduced in schools, the document says. In his May 5 remarks, Radev highlighted the need to strike a balance between the two important components of the armed forces – the human factor and the material resources. He said that without resolving these issues, there could not be a competent Bulgarian army as guarantor of the sovereignty and territorial integrity of the country and a reliable partner within Nato’s collective defence and the EU’s Common Security and Defence Policy.